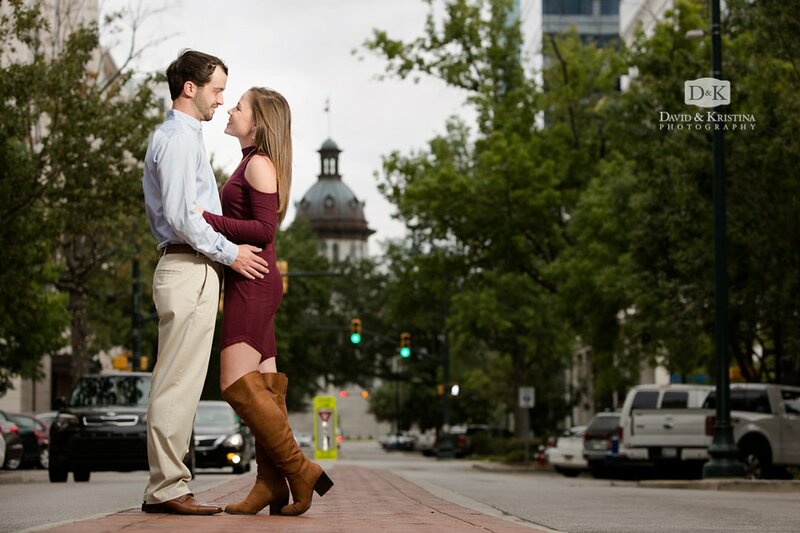 Sooooo….this session was AWESOME! 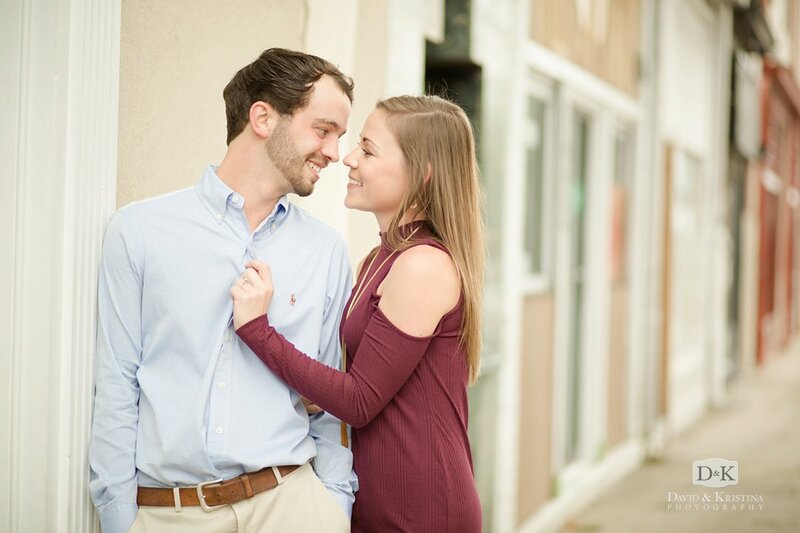 Hurricane Irma had just made its way through South Carolina the day before, so we were a little unsure if we’d still be able to do an outdoor engagement photo session. While other parts of the state sustained a good bit of damage, the Columbia area made it through with just bit of debris and flooding. 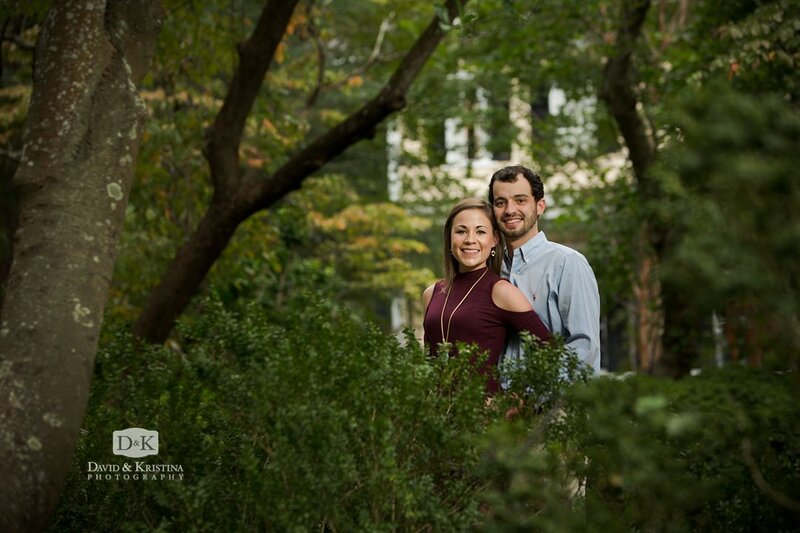 We started at the Lace House Gardens at the South Carolina Governor’s Mansion Complex, then went to Main Street for a view of the South Carolina State House in the background. The Horseshoe at the University of South Carolina was still beautiful even after the hurricane winds and rain…thanks to some great groundskeeping crews of course. 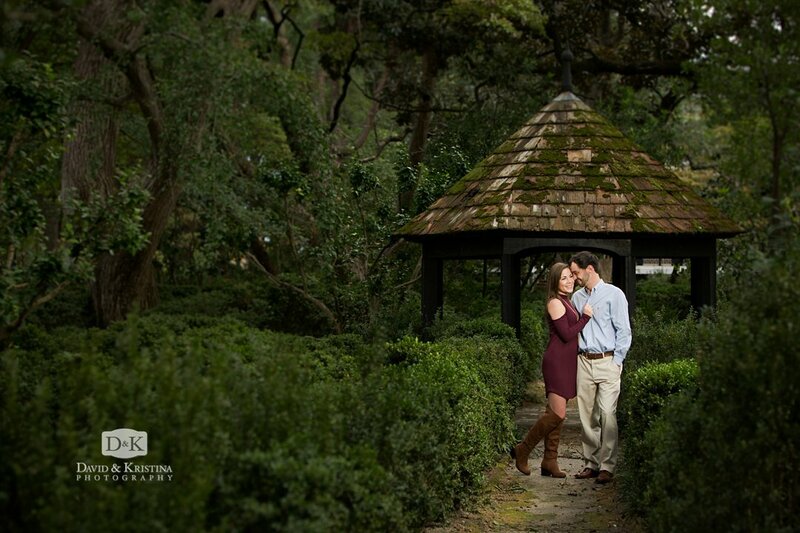 Michael and Virignia were both so easy going, and let us go to several different locations for photos. We had a great time getting to know them, and this ended up being one of the most enjoyable sessions we’ve done lately. 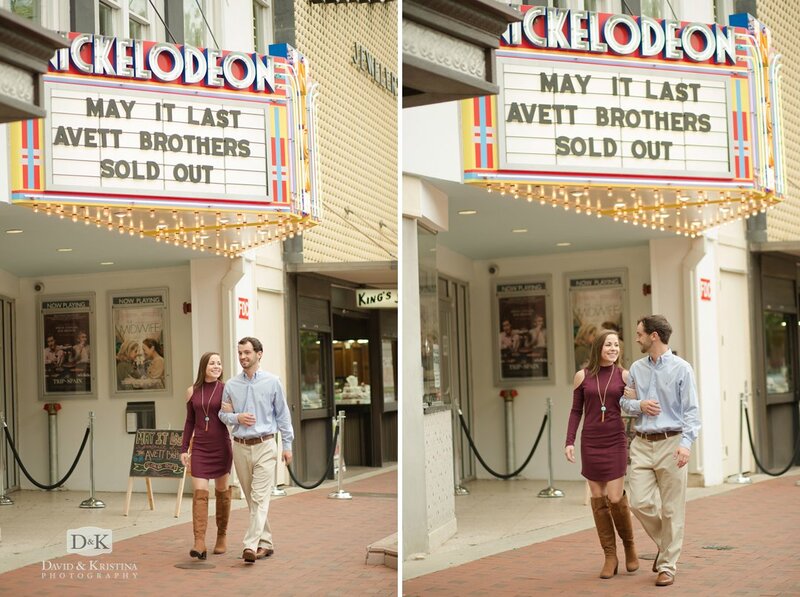 It always helps to have some common ground with the couples we photograph. Virginia and I (David) even went to the same high school (J.L. 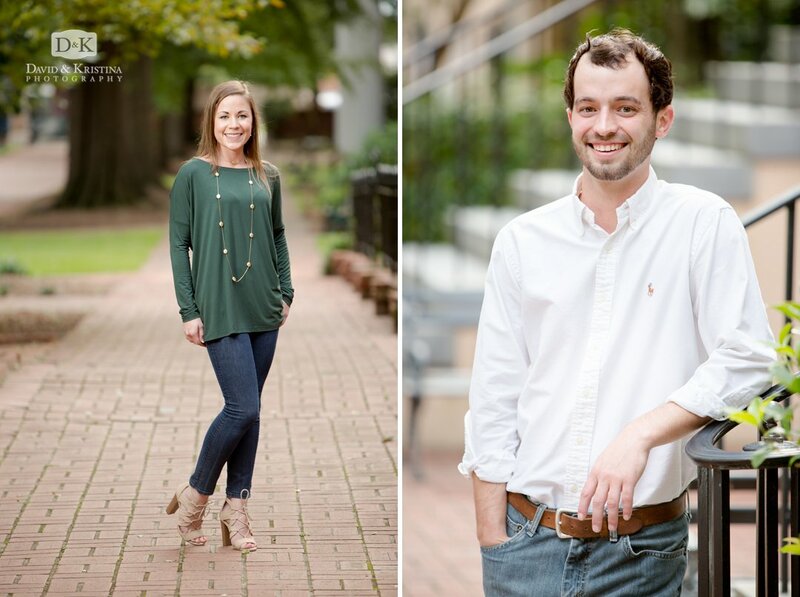 Mann), and she and Michael are both USC grads, just like Kristina and I…how cool is that! Main Street gave us a great view of the South Carolina State House in the background. 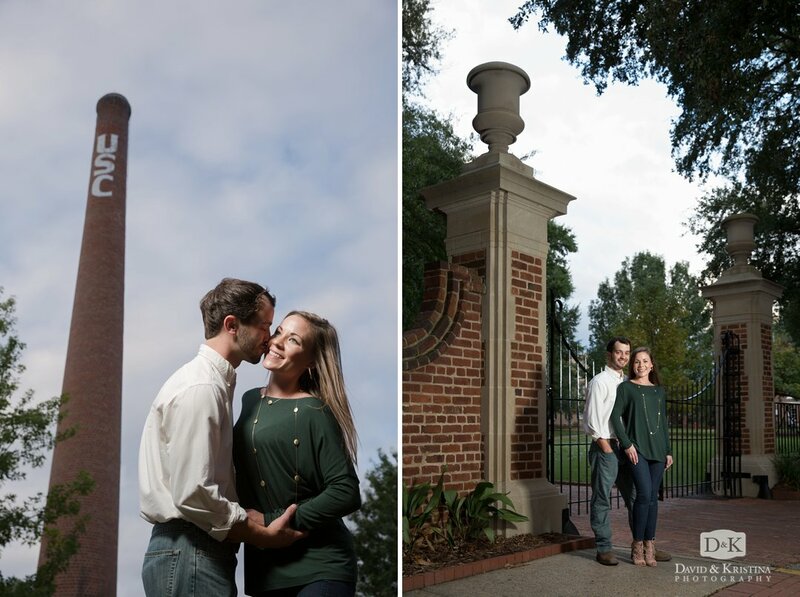 One of our favorite engagement photos of Michael and Virginia at the USC Horseshoe on the steps across from McKissick Museum. View Michael & Virginia’s wedding phtoos View other engagement photos. 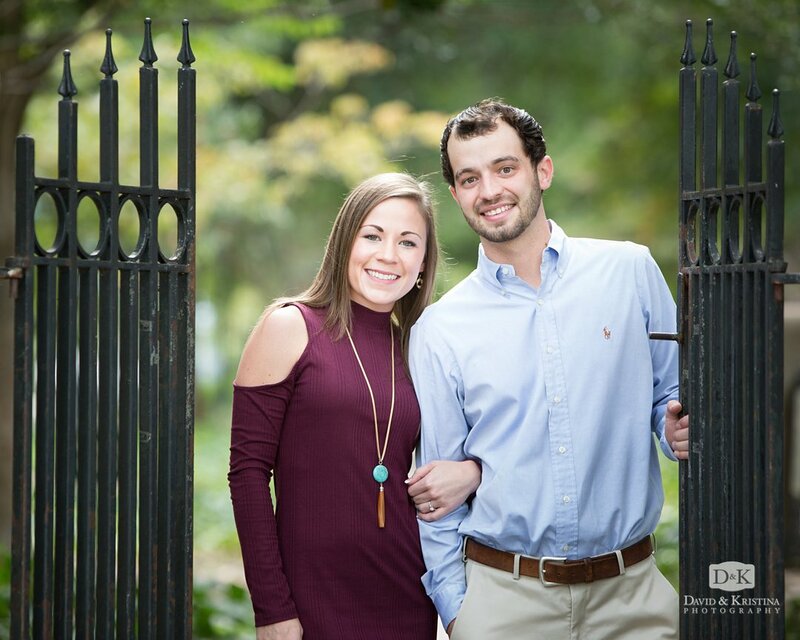 Check out some recent featured weddings. 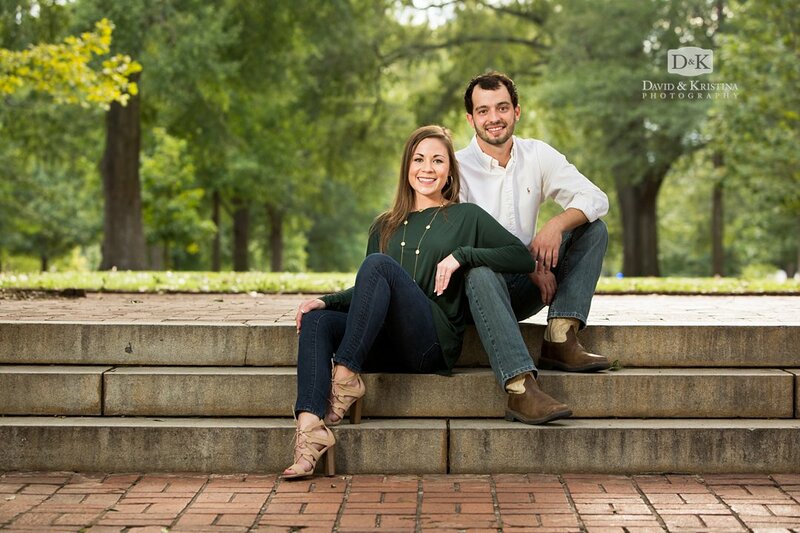 See if David & Kristina are available to photograph your wedding. I am Virginia’s grandmother and these pictures are stunning in every way. 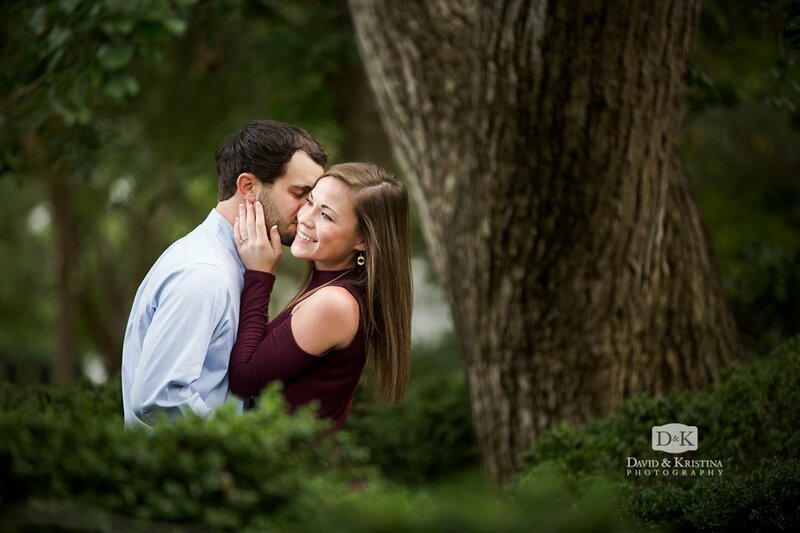 What beautiful scenery and adorable subjects! !